The online reading option has opened a door of new and advanced educational platform for students and also for every person from every stage of the world. In fact, there is no age limit and no restriction or rules for some types of people to read, learn and gather skills. People from every stage can be able to learn many things now from online. There are many people who do not have proper support for reading books and learning something. They are now able to get some knowledge and explore many online books and get to learn with their heart’s content. Besides, these online reading options influence the reading skills of the younger children sharply. The impact is very strong on young boys specially, and also for those who are less engaged readers. So, it has a positive effect to motivate children and increase their interest to read more. From some research reports, it has been proved that people engaged more now in reading because they find it more convenient and easy for the online reading option. Because there are a lot of sources available in one device, from online newspapers to e-readers and social media. An extensive collection of information, tutorials for a lot of things and many eBooks have made the internet reading platform richer than hard books. People are now not only having the chance to explore many things on the internet, but also there is a lot of change has been made by people in applying this knowledge, skills, and information they gather. 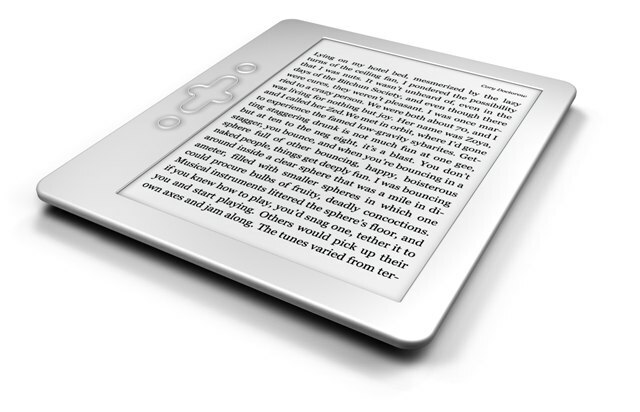 There are some facts about online reading things that encourage a person to read more. We will now discuss these effective facts. When a person finds it difficult to search for a book on the market and see that on that topic, there are a huge collection of books for free on the internet, they obviously try them. When it became easier what a person needs to have it on the internet, they would like to read them on the internet. Thus, people get more attached to eBooks than hard books. Besides, people may like to search for a reading material on the internet than searching on the market. Because they can do it in the easiest way, even sitting at home. People can be able to use the time for reading various topics when they have to search for it on the market. Moreover, most of the articles on the internet reading materials focus on keywords and it increases the reading capacity of a person. The attention of a person sticks to the keywords and they find it more encouraging to read because they know where are the main things on that topic. People find it easy to read on the internet than finding a book on the required topic. There are many more materials found in the internet on one topic and so, people get to read more about a topic and find more information in one place. The proficiency is encouraged in this way. People like to gather more knowledge at less time range in the short time of life. In the internet, they can be able to explore many things now. In the past, people need to make a plan to get training on the different subject. They could not be able to take different types of training at a time. But now they can be able to learn many things at a time from different types of tutorials that are found on online. There are many ways opened for all to learn different languages on the internet. Through social media, people learn it in a practical speaking style. Because people can get to link each other from a far away. People become close around the whole world through social media. Many types of research proved that people able to learn a language more efficiently on the internet than learning from a book. When a person talks to a person a different language, it enhances the speaking power through practice, while a person gets the language skills but not have the practical speaking power by learning from a book. Thus people become more proficient in many foreign languages now for the internet help. The traditional reading system did not allow a person to make a conversation on a topic, but people get to talk with many people about what they are learning and get into research on what they have learned through the internet. This enriches much practical knowledge from the experience of different types of people around the world. Besides, people get interest more learning in this way than from old media. Moreover, a person needs to have a critical thinking ability and higher level reasoning to learn and achieving skills from the internet and so, people become more passionate and strong in learning. Their practical thinking ability has been enriched because of it. With technology and advanced reading options on the internet, people can get to enrich their standard and become smart. The people of this advanced world, become more strong, sharp and efficient on their knowledge and skills. They get the chance of becoming practical through the internet and thus, they can be able to make a strong foundation for their future.